Phew, another 6 months went by. Is it possible that time is running so quickly? I spent time grinding through different tasks. I finished the automated map extraction that will magically extract all data that is required to control the background swapping of charsets that I described in the last post. The algorithm more or less starts with a map area that is about as big as one screen. It then increases the width and the height of the area until more than 256 characters are used. When that happens, it backs up a bit and starts a new area, until the complete map is covered. 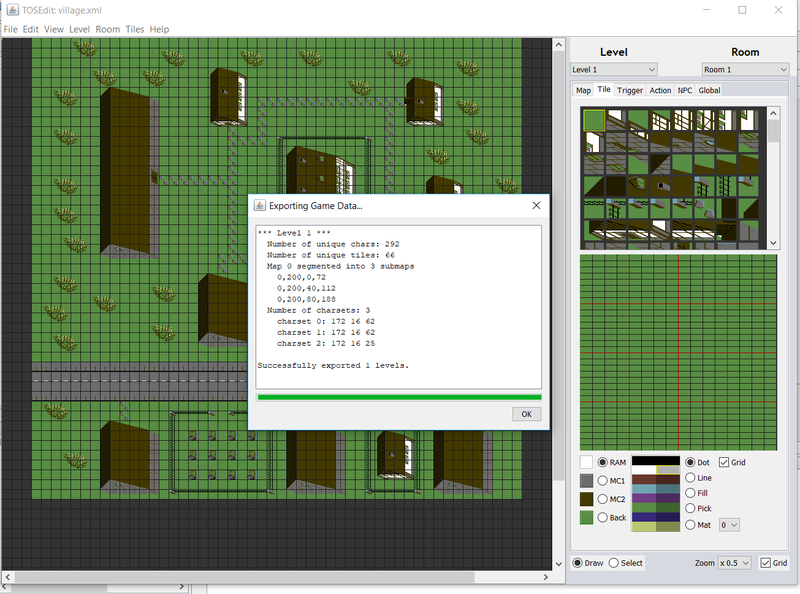 The screenshot below shows that the village level has 292 characters and is therefore split into 3 submaps. 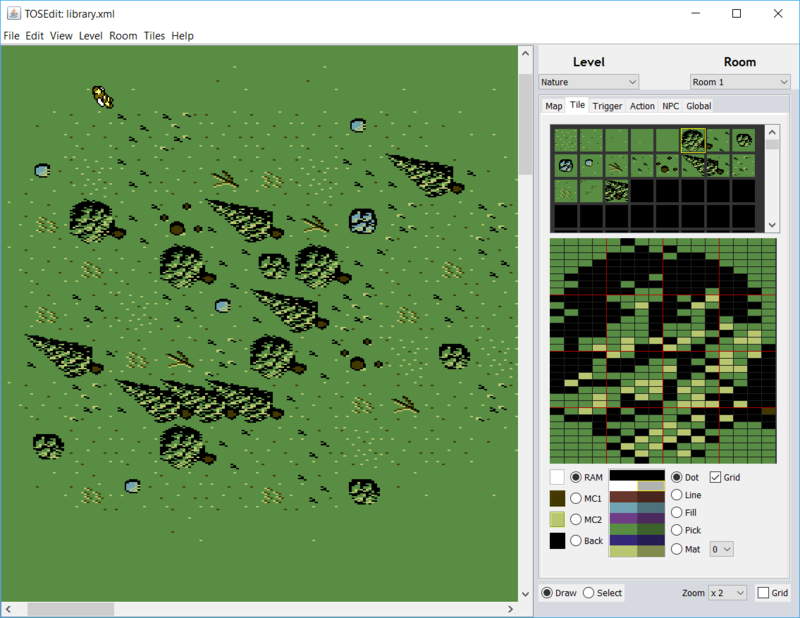 I also added the handling of trigger areas (areas that will trigger a script when they are entered by the player) and command areas (areas that will add a command to the menu when it is opened while the player is inside) graphically in the editor, which makes creating them MUCH easier compared to the manual assembly source file hacking it was before. 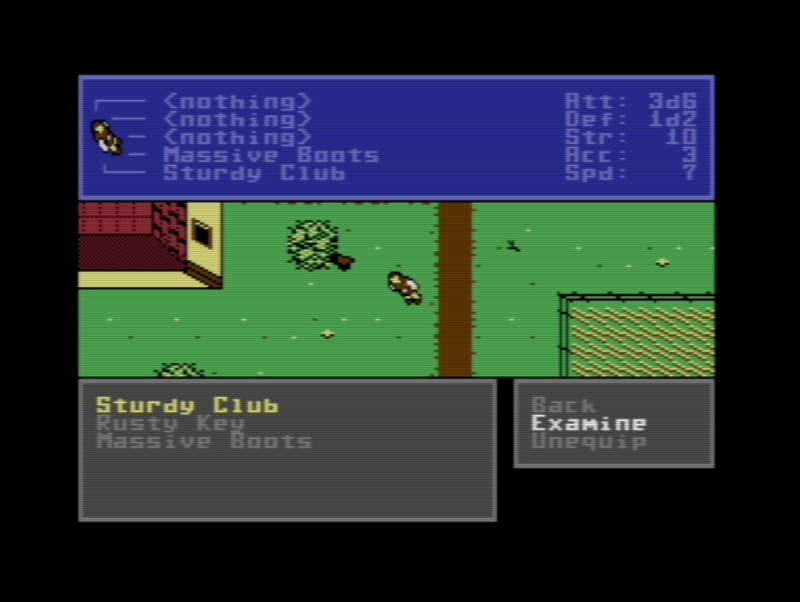 Last but not least, I reworked the in-game menu and in particular the inventory handling. While the inventory was only informative until now, it is now fully functional and allows the equipment of items. I once again realize that I am no graphic wizard and it looks a bit pragmatic, but I still think it is an improvement to before and allows for much more complex quests. You might notice the attribute display in the right top of the screenshot below: yes, there will be more role playing elements coming. I guess the next big thing will be combat, and I am really excited to experiment with that. A convincing round based combat with a single player instead of a party is a challenging thing to do and I guess there will be a lot experimentation needed until it really works.